Thread: MarineMaster 'relapsing' - advice needed! 2019 was meant to be the year of not buying anything. So far so good. Until now. 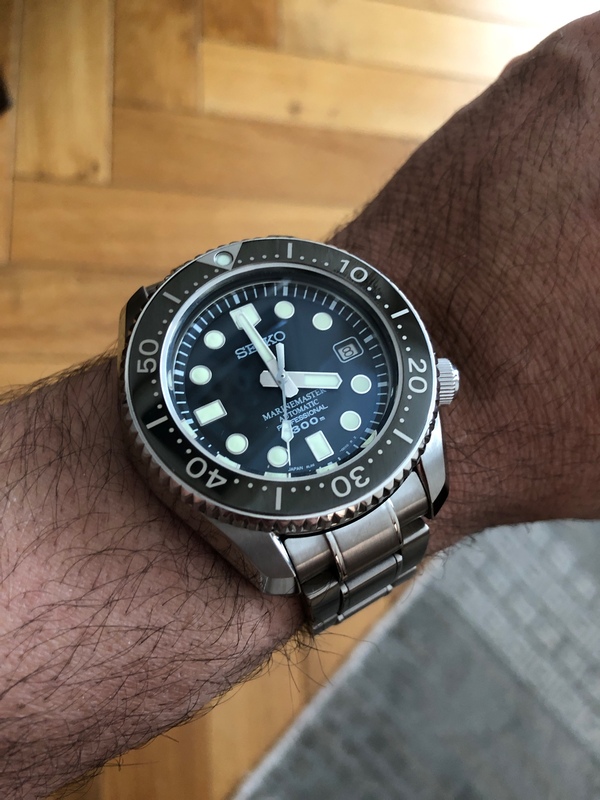 I've been wearing my Seiko Monster (my first auto from back in the day!) 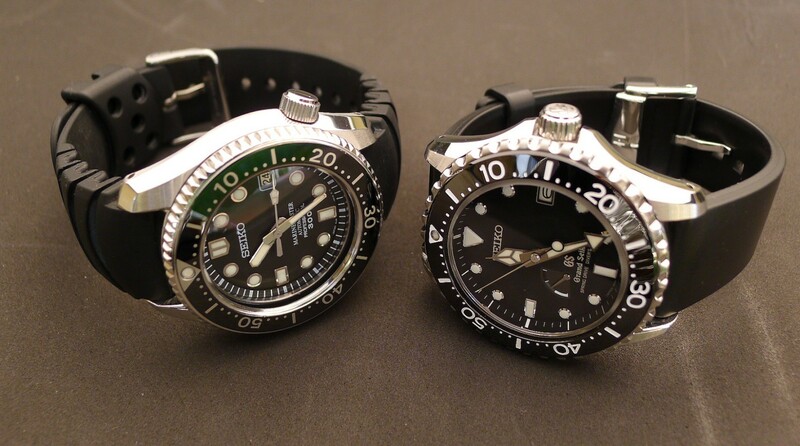 and after all the new Seiko Basel releases I've started looking at MarineMasters again and I'm getting twitchy. Now I've had one in the past - about 5 years ago. And overall nice watch, but a bit heavy and I was ho-hum about the bracelet. But I am thinking about giving it another go. So onto where you lot come in - I want to hear current owners and probably more relevant the members who bought it more than once. 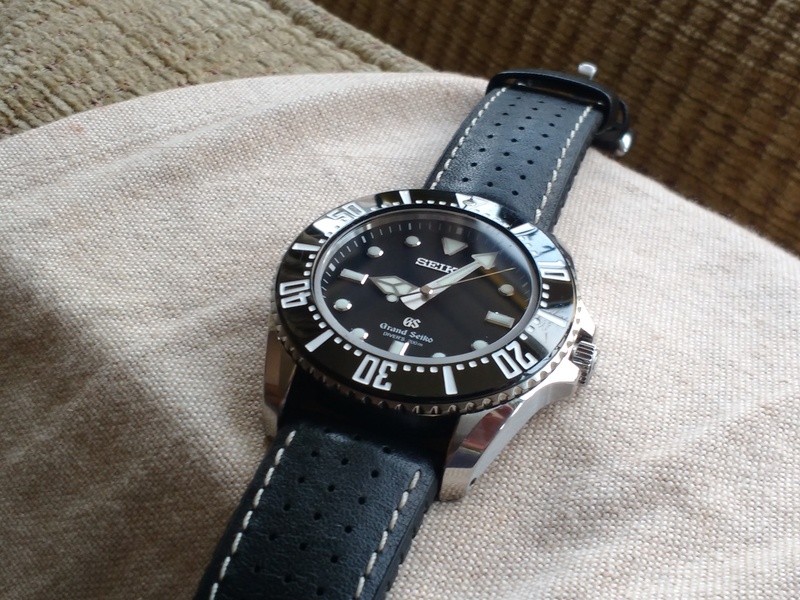 Also advice on which variant (back in the day we only had the 001) and if I should be trying another Seiko diver. I absolutely love the MM300 and had the SBDX001 model for quite a while before selling it as it was a bit heavy and uncomfortable, plus a bit too big. And the bracelet was ho hum, but I did like the stock rubber. Then I bought the 017whcih was even better with the dia shield coating, but eventually I realised it was was a bit heavy and uncomfortable, plus a bit too big. And the bracelet was ho hum. 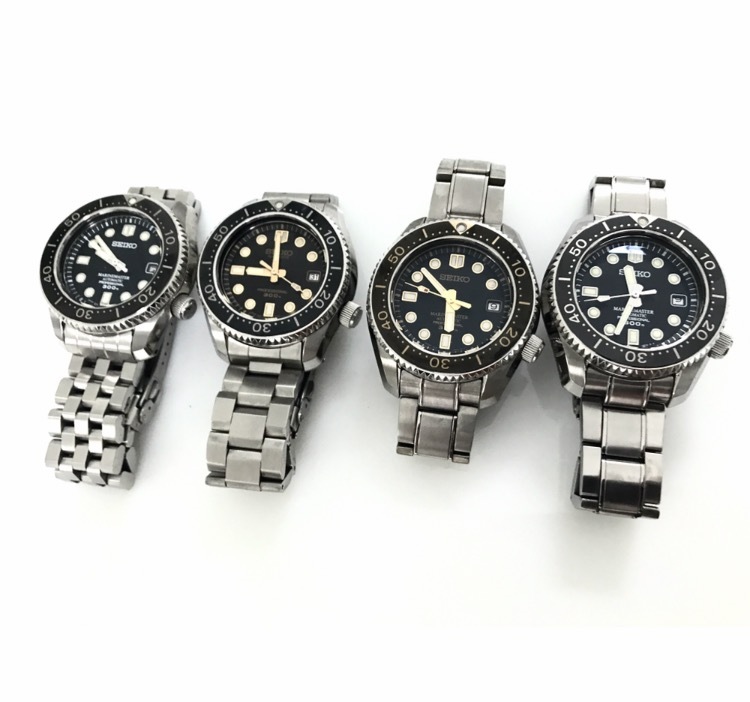 I really don't think I need to lapse and buy a third one... Maybe one day Seiko will release a smaller one. Interesting - not heard about pairing it with a Shogun clasp - what makes it work? Mate, this is pretty much my concern! But it's a great watch, that you want to give it another go. 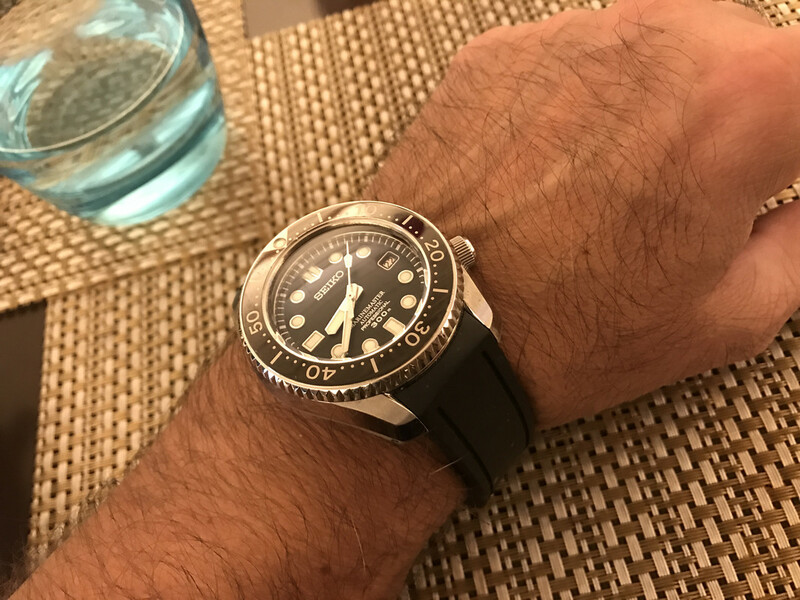 I really like the new Prospex SD diver which is Ti but too many yo-yos for me (incidentally came across a nice hands on here - https://www.fratellowatches.com/seik...ex-lx-snr029j/). Plus there is a timelessness to the MM300 which these new ones don't capture. SBDX001. Nothing beats the original lume colour. I am wearing my SBDX001 today. I would say it gets most wear of all my 40+ watches at almost once a week. That’s how much I like it. I Don't think I will ever get rid of it. The Crafter Blue straps are an improvement on the standard rubber, I wear mine with a MM300 adjustable clasp and it is very comfortable. That said I bought a Uncle Seiko tropic rubber a week or so ago and I like the vintage look it gives the watch. It’s also quite comfortable now it is breaking in. It was a bit stiff at first. I am a fan of the bracelet, whilst it’s a bit old hat compared to the competition it suits the style of the watch in my opinion plus it helps balance the weight of the watch head. Last edited by Sinnlover; 15th April 2019 at 16:00. This is not a bad watch - went unloved by most too. I was on the look out some time ago for the white one. Hard to come by nowadays. If I have a 'criticism', it is probably a bit too refined, not 'foolish' enough. But open to alternatives and this is not a bad suggestion at all. Didn't know much about the changes in the lime colour - I see what you mean, but not a huge issue in my book. That’s how much I like it. I Don't think I will ever getting rid of it. I am a fan of the bracelet, whilst it’s a bit old hat compared to the completion it suits the style of the watch in my opinion plus it helps balance the weight of the watch head. I think that was my reason for persevering with the bracelet - much better balance with the heavy head. Did they improve the bracelet with the newer 'Prospex X' models (I'm assuming not, coz it's Seiko....). Except mine sits on the stock MM clasp. However I do have a spare Shogun bracelet sitting around, and you’ve given me a great idea! I have the 017 variant, great watch but the bracelet is poor. Still always go to this though for diver over my harrods black bay. The SBDX001 is one of a (very!) short list of watches that I've sold but still entertain the idea of trying another. I'd have that exact model back, with the bracelet, and not bother with the 017 variant. I didn't find mine to be the best made or particularly well finished for the price however it had so much character... That's what I miss. Out of curiosity, what strap do you wear it on? I think this is the thing with the MM300 - it oozes personality and character but can be a bit of a beast to wield. This is what troubles, yet intrigues me with wanting to try another one. As for the 001 vs 017 - Diashield is nice, I guess depends on which model you find (and the price). I’ve also had a MM300 and had similar feelings as you did about yours. I’m currently thinking of buying a SPB051J1 from watcho, they currently have 15% off. Slightly smaller than the MM300 and comes with sapphire crystal. £849 new. Maybe someone could give their opinion on these in comparison to the MM300. Or even the SPB077J1 for a similar price but slightly larger at 44mm. Never had a Sumo, always thought they’d be too big, the lugs look really long too so I’ve always ruled it out. The SPB051J1 or otherwise known SBDC051 is my front runner. Especially as it’s 42mm. Check out Bruce Williams SBDC051 review on YouTube, it looks a rather nice MM300 alternative. [QUOTE=crazyp;5077236]Out of curiosity, what strap do you wear it on? On one of eddie's grey natos. It looks really good on the premium nato (black/grey edges), sits too high though. I would like to try the crafter blue, looks a good option. I have the 001 full set and its a beauty with creamy lume, but it is a beast compared to say a Submariner which it was once regularly compared too. The thought has crossed my mind about selling it numerous times but I know I would have instant regret so once in a while it comes out to play, its been mentioned this watch has so much character and I cant agree more, something about the combination of dial, hands, bezel and depth from the crystal just work so well together to make a classic watch..
Saying that I'm going to get it out the watch box and give a whirl..
Last edited by murkeywaters; 16th April 2019 at 22:23. 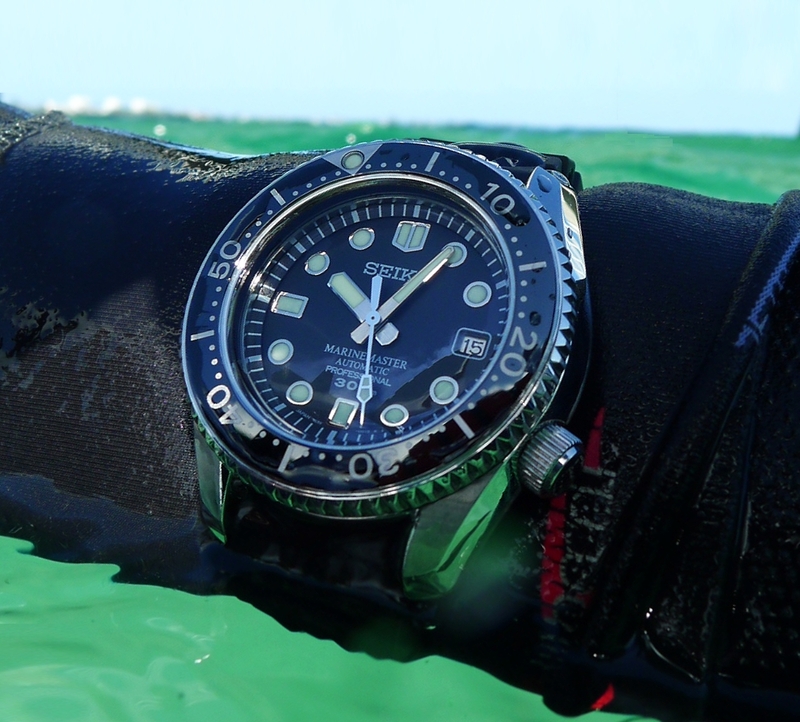 Bruce Williams has just posted a new YouTube video on why the SBDX001 is his favourite. Always worth a look at his videos. Good video, I see the markers have larger polished areas and hand applied lume in the 001 compared to machine filled in other variants, nicer colored lume too. Glad I have kept mine, got a feeling these will really start to appreciate over the next few years. I just got one 2 weeks ago...The old SBDX001..I also watched the video's of Bruce on youtube wich made me want one even more. I went with the 001 because of the creamy applied lume wich can also be found on the earlier 017's so basically I was looking for either versionthe I did find an 017 (new one) before the 001 but it had the newer dial with greenish lume. Getting the creamy hand applied lume dial was a must have for me. Found a NOS one in Italy and I must say the watch is fantastic. In no way I feel it is too big or heavy. If you can pull of a DEEPSEA you can easily wear this..It's a bit smaller actually wich was a concern for me in the beginning as I had never seen or tried one on in the flesh..I think it's a fantastic watch..I love everything about it..My son likes it better then the rolex. The winding crown of the DEEPSEA is butter soft and the MM300 doesn't come close there but the look, feel and finish is top notch..I simply love it..
Ok so I've been doing some more research (I had time on my hands.....) and the 77 and its variants seems to be a very practical (and wearable) alternative to the MM300. But it does lack the character of the MM300. The MM300 seems a more occasional watch, but it certainly seems the crafter blue straps have solved a lot of the issues. I also think they could go up - still not too fussed on the 001 vs 017 (I think any non Prospex 'X' ones will appreciate). Such a lump and as I say above, a nice watch to wear once in a while. I've still not made my mind up even with this thread! The new baby Marinemaster looks good. Indeed the 'baby' MM200/SPB077 is nice but definitely does not exude the same character as a proper MarineMaster. Nice 4 right there Rajen! This watch IMO is good enough to rival Rolex Subc for me and my favorite Seiko by far. And that includes the GS divers. I have the SBDX001 and rate it very highly. An amazing watch for the money. I'm digging mine out this weekend. Maybe it's just the pictures, but I don't see much that makes the look worse on the 017 with the greener lume. I did read somewhere that the earlier 017s had hand applied lume like the 001 versus machine - any particular way to identify that (not that it likely makes a difference...)? 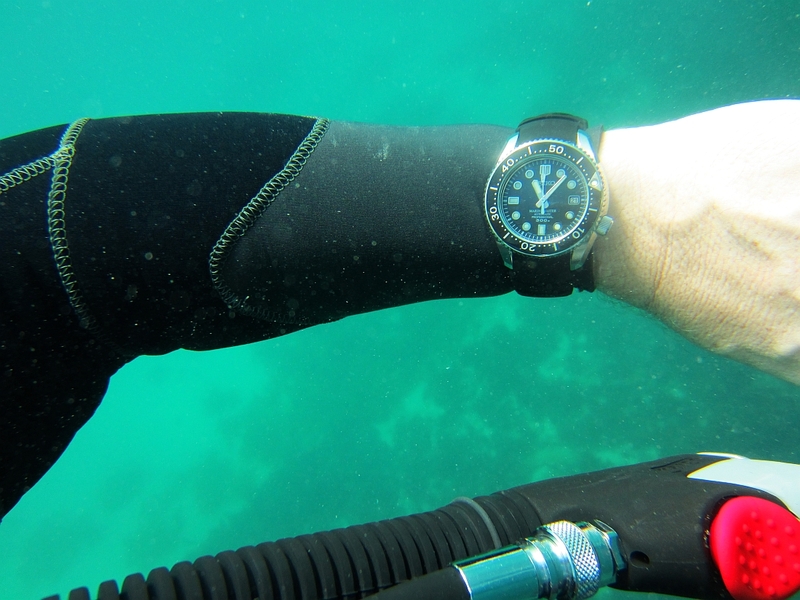 It for sure exuded class and matches up well with the GS divers - I guess it was designed to be almost at that level. However the balance of it is still something I am mulling over - it was an issue last time, but the crafter blue and accepting the bracelet for what it is seems to do an ok job. The Diashield coating makes the shiny surfaces virtually scratch proof. Great looking watch! I didn't know this even existed. Oooh errr a real diver! Lovely pair - the GS diver is fantastic. Dare I ask how you feel the MM300 compares head to head? 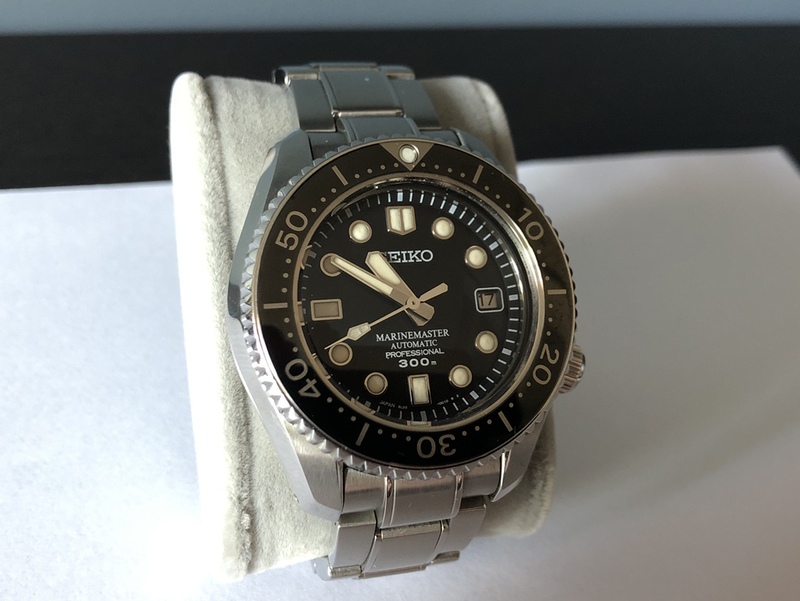 Not normally a fan of these Seiko, but I do like this special from Gnommon, until I saw the price, mmmm not for me I’m afraid. 17 on a crafter rubber with the stock clasp - brilliant ! 001 on the same chunky seiko rubber strap as 'Bedlam', In fact I think it was his photos previously that made me hunt down one of these straps, instead of the crafter blue that i was considering. As for the comments below. I believe that the MM300 compares quite well to a Rolex SubC. Not quite there in perceptible quality, but not too far off. Strangely it appears much smaller in diameter to me, despite being larger on paper. I suspect that this is due to the deep case and the bezel sitting inside the edges of the case below. That depth is a large part of it's charm though. As for comparisons to Grand Seiko; Well I only have a Snowflake to judge. So different watch altogether, but in my opinion the GS is quite a step up over both the MM300 and SubC. Like Moses said above, the MM300 in on par with a Sub but the GS is at another level. Whilst the GS is clearly the better watch in every objective way, the MM300 has a charm I've not felt from another watch. It's not possible to understand the appeal of the MM300 without having worn it for a while. They are not as easy to live with as a Sub, but they are not easy to live without either and commonly those that sell them end up missing them. 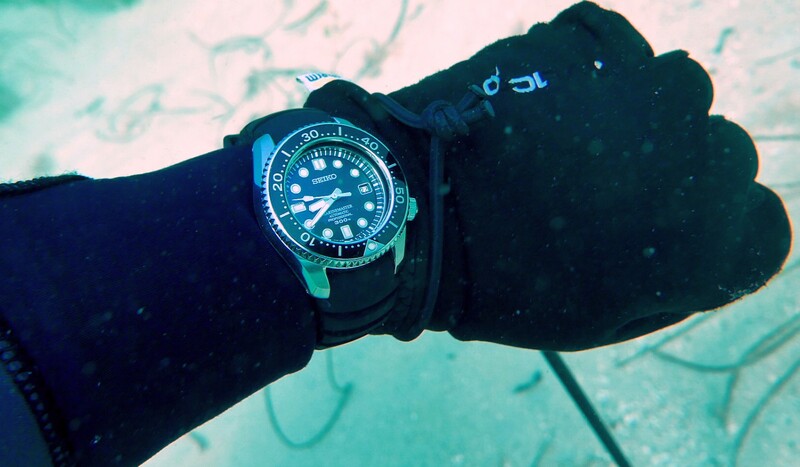 I would say without reservation that in the flesh it is one of the most attractive dive watches I have ever seen. An intriguing watch and absolutely worth trying out. Not many things I agree with Bedlam on but share his enthusiasm for MM300 and Orient Sat Diver 300m. the MM300 has a charm I've not felt from another watch. It's not possible to understand the appeal of the MM300 without having worn it for a while. They are not as easy to live with as a Sub, but they are not easy to live without either and commonly those that sell them end up missing them. Sums up the MM300 perfectly, if I had sold mine I would be reading this thread and kicking myself..
Attempt to capture sbdx001 lume colour. It is a bit creamy, not white or green. Best seen indoors. Many pics are taken outdoors so light matters. I took a white piece of paper for reference but don’t have any other mm300 watches to do a side by side. Maybe someone else has a better reference but to me - subjectively - it adds a touch of “warmth”. The MM (SBDX001)is an enigma. It has plenty of faults which on paper would suggest you sell it, move on and find something better, but I can't. There is just something about it. In so many ways it is perfect, in so many ways it is not. I have never worn it on the bracelet (still in the box with plastic on it) the rubber being by far the better option IMHO. Just looks right. Coincidently I order a SPB079 yesterday. The bezel colour intrigues me, but not convinced by the hands. I will have to wait and see. I need to try one of these crafter blue straps. My sbdx017 has been sitting in its box for the last 3 months , this thread has me thinking it’s time to come out of its winter hibernation . I must admit I bought this watch after watching a couple of you tube videos which coincided with one being offered at a great price , so it was an impulse buy to be honest but everytime I wear it I appreciate the love this watch has . I do understand what you mean - I also remember the 'creaminess' of the lume. I just don't really see that the greener lume on the 17 makes things look much worse. I've still not made my mind up - the head heaviness still makes me hesitant from previous experience, though the crafter blue does seem to solve a lot of that - it looks a great rubber. SBGE001 is in a class of its own. Would recommend without reservation.